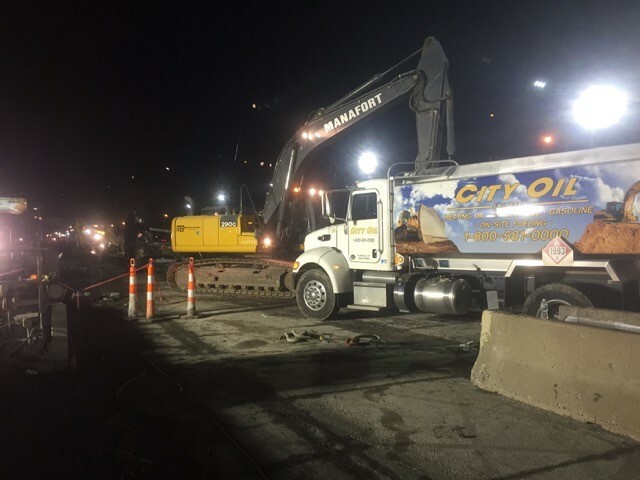 On Site Delivery Fueling and Tank Service - City Oil Co. Inc.
Diesel fuel is well known in the construction business as well as in company and city fleets, in businesses, on farms and so forth. By its emission standards, it has proved to provide greater productivity and energy efficiency than standard gasoline. Currently, hybrid diesel platform powertrains are being merged into bulldozers, wheel loaders, excavators and off-road machinery. This latest technology has allowed the development of energy efficient and clean diesel engines. At City Oil, we furnish diesel fuel as well as delivery of products such as kerosene, gasoline, heating oil and so forth. However, this article will address the diesel fuel we sell and the services we have provided our customers in Connecticut, Western Massachusetts and the surrounding area for more than 25 years. Diesel fuel has had many changes over the years. Cetane is the primary measure of diesel fuel quality. The higher the cetane number, the fuel ignites more readily with the higher numbers known as “premium” diesel fuel. Cleaning agents are added at this time. Starting in 2006 the United States developed more stringent emission standards which went into effect in 2010. At City Oil, we have complied with all standards to provide the highest quality diesel possible for our customers. This is extremely important to people in the construction business who are working on an allocated time frame to finish a job. At City Oil, we understand the importance of a company keeping their vehicles fueled and ready to go at all times. As a result, we not only schedule regular deliveries but have developed a 7-day, 24-hour emergency oil delivery system as well. Any customer who finds themselves suddenly short of fuel knows we are only a phone call away for an immediate response. No size delivery is too large or too small. Customers find our diesel delivered in modern, streamlined vehicles maintained by courteous and well-trained employees. They are prepared to make sure you are thoroughly satisfied prior to leaving the premises. Our company offers on-site, above ground, fuel tanks and pumping equipment for our customers. These tanks are surrounded by steel posts to prevent any accidental collision with a vehicle or other equipment. We offer fuel tanks made of the finest steel. These are available in standard 110-volt or 12-volt tanks and hold from 275 to 3000 gallons. They meet all UL Fire Codes as well as state and federal requirements. On jobs such as road construction, arrangements can be made for portable tanks which save a great deal of time and money when fueling is needed. One of our specialties is on-site fleet fueling. This means we dispense diesel directly from our trucks into fleet vehicles or other equipment. This includes such things as vans, trailer units, tractor trailers, box trucks and so forth. This routine delivery is a convenient way to keep your fleet fully fueled at all times without worrying about suddenly being stranded in an inconvenient location. The essence of a good business is a smooth operation. This is whether it is a construction project, buses, fleets of vehicles or other types of equipment that require diesel fuel for uninterrupted work. At City Oil Inc. we are happy to help you in this endeavor by providing quality diesel, as well as other fuels, that meet all State and Federal Regulations. We are weights and measures certified, offer a sealed and impurity free system and are designed to offer you diesel which will reduce product and labor costs. Give us a call today at 800-581-0000 or fill out our online form at https://www.cityoil.net/order-now/ for more information.